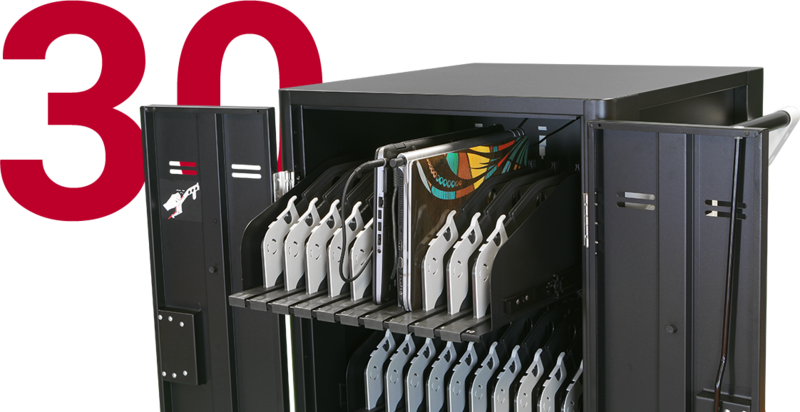 C30i+ sets the new standard for all 30-device charging carts.  It's cutting-edge technology and loaded features provide the best support for any device learning environments. C30i+ charges up to 30 Chromebooks, laptops, or tablets up to a 15" screen. The 27" wide footprint takes up minimal classroom space and enables more room for teachers to engage with students. 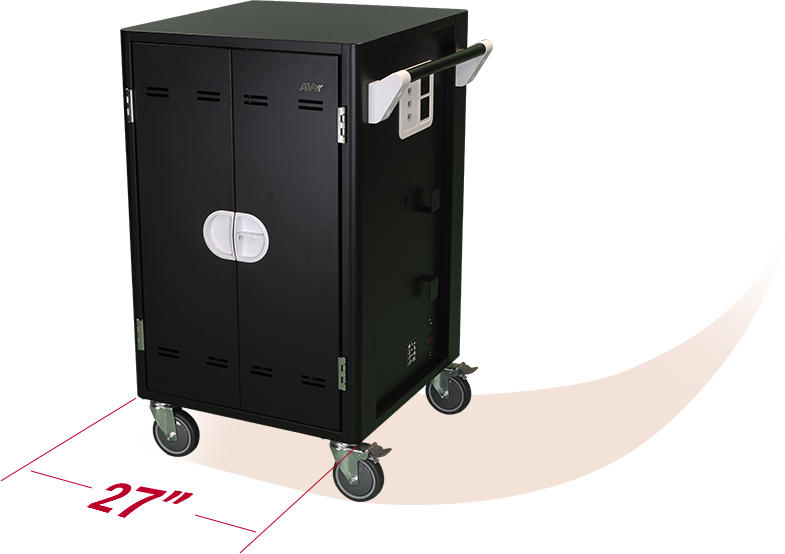 The perks of having a charging cart with a brain of its own: no programming, no monitoring, and no overloaded circuits! 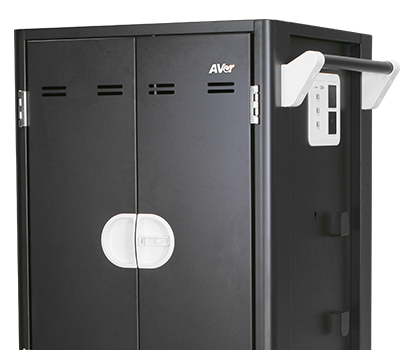 Slide-out shelves lower risks of damaging devices and make it easier for teachers and students to store and retrieve devices. 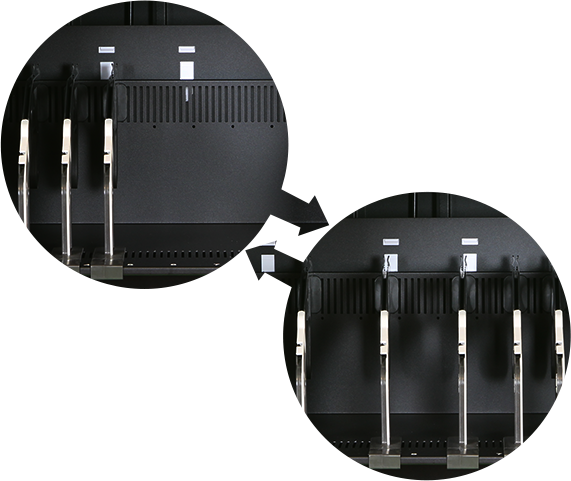 C30i+'s adjustable dividers provide classrooms with the freedom to manage a mix range of devices all in one solution. 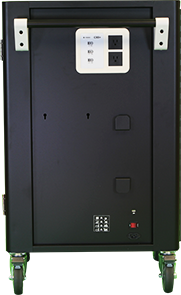 Cords are locked into the cable channels along the top of dividers and secured with a locking latch making it simple to plug and unplug devices. Support DeviceTablets/Chromebook up to 15"